It's been a loooong season waiting for each sunday, and after sitting down with Mam to watch it (SHOCKING), I've never been so satisfied by Game of Thrones. The opening of the episode is PERFECT. The direction is fantastic and the music is absolutely beautiful, it really hits you that this is the finale. 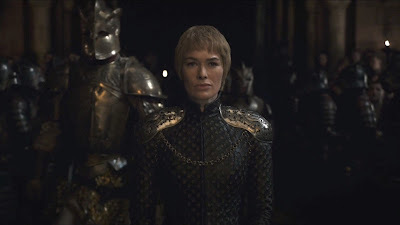 The costume design for Cerci was incredible as well, I've never liked her but good lord do I want her dress and pauldrons. Speaking of Cerci, while her master plan was obvious from the start, the lengths she went to to accomplish it were a bit of a surprise (this soon). 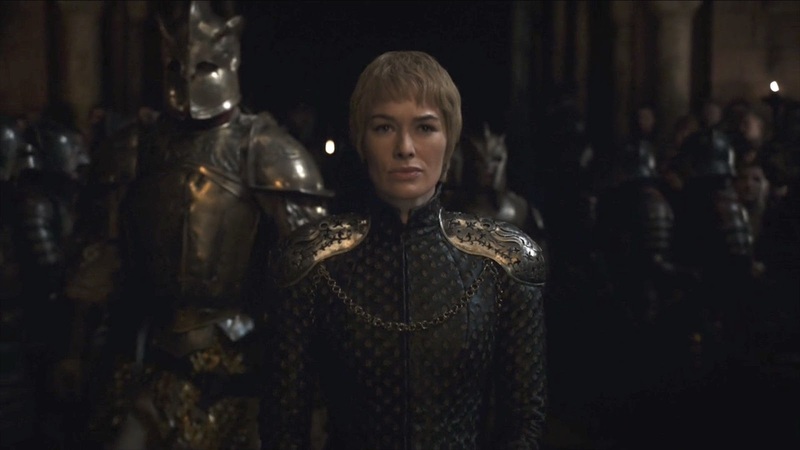 From babbling on and on about her children to knowing that would happen really showed how twisted she'd gotten, and that stare Jaime gave her after returning to wildfire-smoked King's Landing could only mean one thing. Seeing Sam reach The Citadel was heartwarming, and I LOVED the clerk just staring and going on with it. 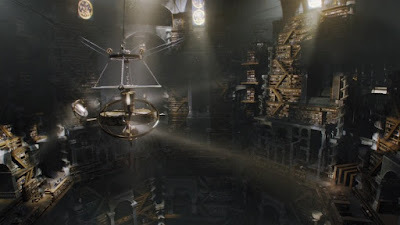 I was most impressed with the whole episode during his walk through the library - it reminded me of how I remember thinking the library of Hogwarts was when reading Harry Potter. 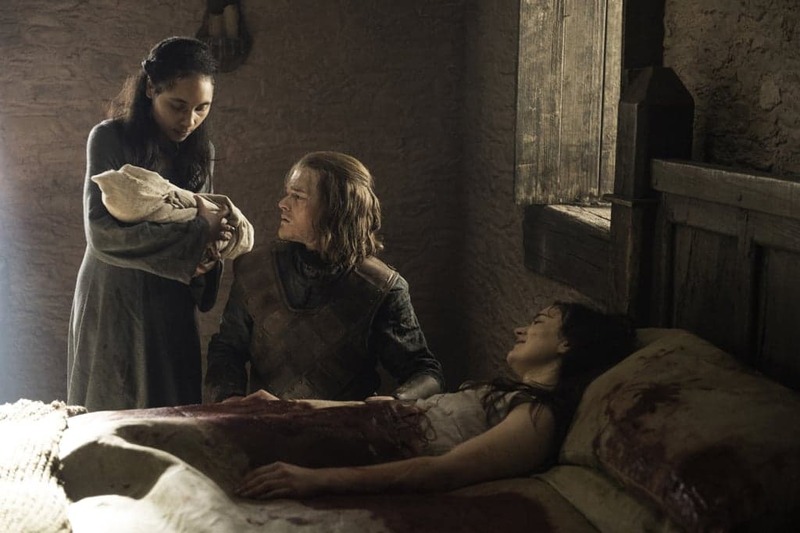 Most surprisingly, and FINALLY, Daenerys did something!! I LOVED seeing Olenna Tyrell shutting up The Sandsnakes and their ridiculous mother, and as soon as Varys stepped it was obvious the topic of the meeting. 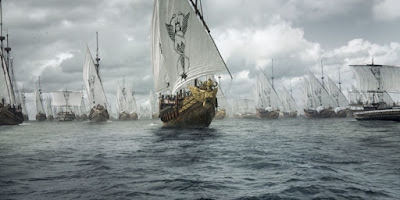 I was also delighted to see Tyrion finally get the approval he craved, but poor Daario huh? The Targaryen fleet was gorgeously designed, and with those dragons overhead next season should be AMAZING. And finally the Starks, all three of them. I dunno what was more satisfying - seeing Arya use her faceless skills to scratch a mark off her list, or the rallying of the north sickening Littlefinger. Davos confronting Milesandre was some of the best acting of the entire show from Liam Cunningham (Ma's new friend, :( ) and it was maybe my favourite scene of this season. 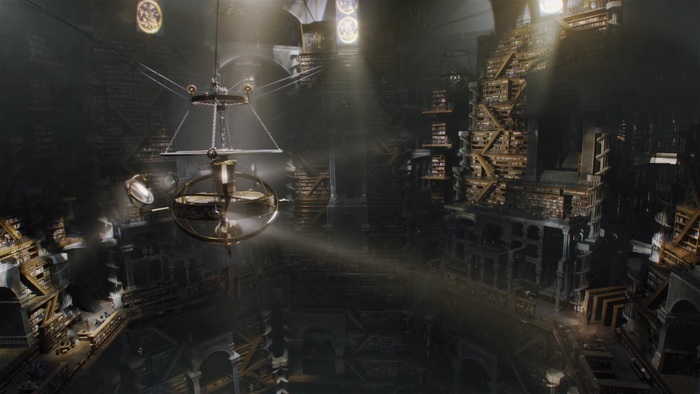 I couldn't go without mentioning the revelation of Jon's parents - could this mean the King of the Norf could fabricate his claim to the Iron Throne?! All in all this episode was fantastic and arguably one of the best finales of the entire series, but not the best in the amazing season that's passed. It was a lot of building up again, but with just enough tying up loose ends to make it satisfying.